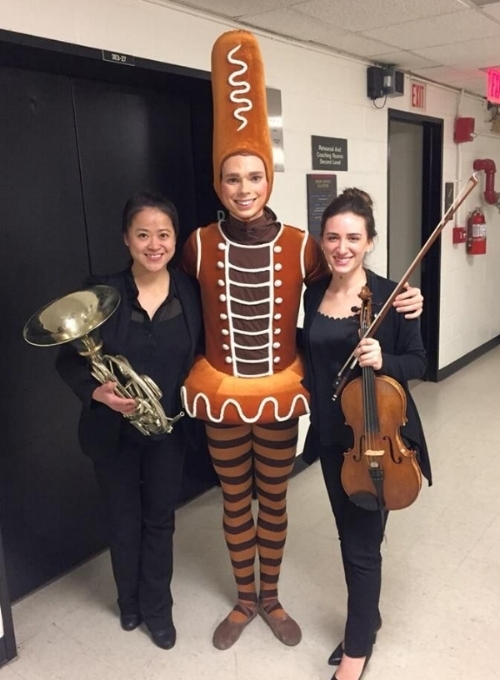 Second hornist Wei-Ping Chou and principal violist Ally Goodman pose with a Gingerbread Man from ABT's production of "Whipped Cream"
The KCOHO has performed with every major US ballet company including American Ballet Theatre (ABT), The San Francisco Ballet, Dance Theatre of Harlem, The Pennsylvania Ballet, The New York City Ballet, Pacific Northwest Ballet, Miami City Ballet, Kansas City Ballet, Joffrey Ballet, Cincinnati Ballet, Ballet West, Les Ballets Trockadero de Monte Carlo, and The Suzanne Farrell Ballet. In 2005, American Ballet Theatre and the KCOHO collaborated in a recording of Tchaikovsky’s Swan Lake for the television series Great Performances: Dance in America. Additionally, the KCOHO has performed with virtually all of the top international companies including the Royal Ballet, Bolshoi Ballet, Ballet Hamburg, Royal Danish Ballet, National Ballet of Canada, Ballet Nacional de Cuba, Paris Opera Ballet, the Royal Scottish Ballet, and the Royal Swedish Ballet. By far the most frequent international guest at the Opera House is the renowned Mariinsky Ballet, formally known as the Kirov Ballet. During the 1980s and early 1990s Russian superstars like Mikhail Baryshnikov and Rudolf Nureyev had been making headlines nationwide, drawing enthusiastic American audiences to the theaters. ABT, considered the Kennedy Center’s unofficial “resident company,” visited DC for as many as seven weeks during the season. However, by the late 1990s ballet in America was retreating from its post-Cold War popularity. Two of Washington DC’s most beloved ballet companies made their final appearances during the past two decades. Dance Theatre of Harlem (DTH) ended its performances at the Kennedy Center in June 2004. For more than 15 years, DTH had been thrilling Washington’s dance audiences with its stunning signature ballet, Stravinsky’s Firebird. The Suzanne Farrell Ballet concluded its final season in December 2017, ending a lengthy sponsorship by the Kennedy Center that had showcased the works of Ms. Farrell’s mentor, legendary choreographer George Balanchine. 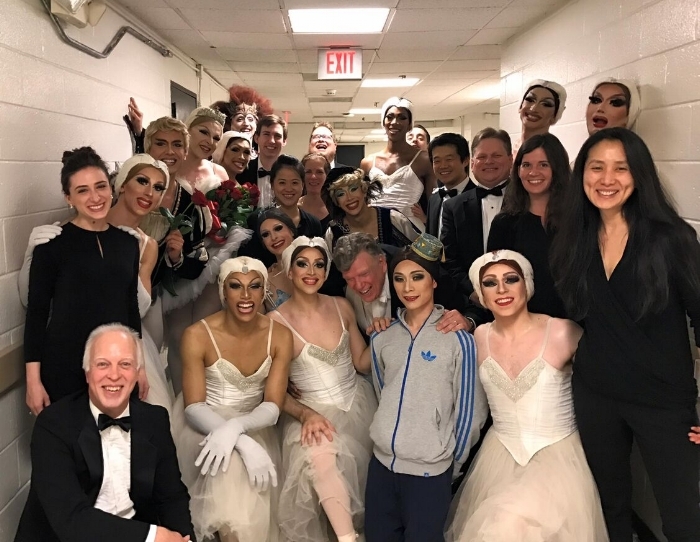 By the early 2000s, while still presenting the finest ballet companies in the world, the Kennedy Center was hosting only 5-7 weeks of ballet each year, in sharp contrast with the 15-20 weeks of ballet that had been the standard since the opening of the Center.